The EMA has been hit by a barrage of criticism from the European Parliament over conflicts of interest and the independence of its drug evaluation experts. MEPs said there were no proper guarantees of the independence of experts hired to carry out scientific evaluations of medicines and that some of those evaluating Servier’s diabetes drug Mediator (benfluorex) had conflicting interests. The damning report also voiced grave concerns with the European regulator’s management of procurement procedures and its lack of criteria for recruiting staff. But the Parliament reserved its harshest criticism for the way the independence of the EMA’s scientific advisors had been undermined. It was “unacceptable that the Agency does not apply the relevant rules effectively, resulting in the fact that there is no guarantee that the evaluation of human medicines is performed by independent experts”, it said. The EMA denied this and told Pharmafocus that all its experts and staff members have to declare their interests at least annually, or earlier if the information they previously provided has changed. The regulator’s rules were last updated in October and an EMA spokeswoman said they “aim at balancing out the need to secure Europe’s best scientific experts for the evaluation and supervision of medicines while ensuring that these experts have no financial or other interests in the pharmaceutical industry that could affect their impartiality”. The Parliament also said the move by former EMA director Thomas Lonngren to a pharma consultancy firm earlier this year created a large conflict of interest, casting doubt on the Agency’s very independence. Lonngren left the Agency in December last year and took a job at a pharma consultancy firm just a few weeks later. After Lonngren started at NDA the EMA moved retrospectively to place restrictions on the kinds of posts its former executive director could hold. These barred him from holding any pharmaceutical managerial positions or providing product-related advice that could fall within the EMA’s remit. The Parliament now wants to know why the EMA allowed Lonngren to take up his position in the first place and has demanded a full report of all comparable cases that have occurred since the Agency's creation. It also wants the EMA’s Management Board to thoroughly explain the reasoning behind its decisions for each of these cases, with reports on both issues to be submitted by 30 June. Both reports must be sent to the European Parliament by June 30, 2011. In another twist, the Parliament said it had further questions over the independence of EMA’s experts, relating specifically to the evaluation of Servier’s troubled diabetes drug Mediator (benfluorex). The company’s president Dr Jacques Servier is currently on trial over allegations he kept the drug on the market – where it was widely used off-label for obesity - despite knowing it was unsafe. Dr Servier was reported to have had high-level political connections in France, allegedly helping to keep the drug on the market. 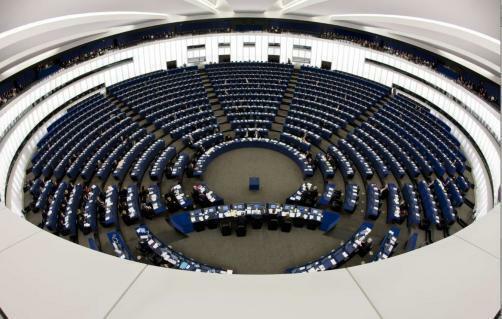 The European Parliament wants to know how EMA staff dealing with any of the Mediator group of drugs were screened on their independence, and how their declared interests were verified. But the EMA told Pharmafocus that benfluorex-containing medicines have never been authorised centrally, but nationally at the level of the individual Member States. Consequently the EMA has no mandate to regulate, and can only do if the matter is referred to them by a Member State or the European Commission, which wasn’t done until 2009. Then a EU-wide review procedure triggered by the French national authority, AFSSAPS, led to a CHMP recommendation to withdraw all benfluorex-containing medicines, the EMA said. The regulator’s spokeswoman added that the Agency has participated in a number of hearings and investigations organised by bodies such as the French Senate, the Assemblé National and the Inspection Générale des Affaires Sociales, all of who have recognised the restricted role of the Agency in the supervision of Mediator before 2009. The European Parliament also had serious concerns with management of procurement procedures at the EMA and the regulator’s lack of criteria for recruiting staff. It said there were ‘potential deficiencies’ in staff/experts' recruitment which could not only lead to disqualification of competent candidates and/or recruitment of less qualified candidates but also “might have negative effects on the quality of the Agency's scientific assessment work”. The Parliament also pointed out the there had been ‘persistent errors’ in the EMA’s procurement procedures. This includes its 2009 procurement of IT contracts worth 30 million euros, in which the Agency made several mistakes. There were ‘arithmetical errors’, inappropriate documentation regarding the evaluation of the deal, and a lack of evidence that the evaluation method of the selection criteria had been applied consistently, Parliament said. MEPs now expect the EMA to swiftly adopt an action plan to remedy these shortcomings and want by 30 June a list of the measures it will take to do this. The Parliament is so concerned with the situation that it has refused to approve its 2009 spending, a process known as ‘discharging’ its final audited accounts. This means the EMA’s directors continue to be responsible for the 2009 budget of 194 million euros until MEPs sign it off.